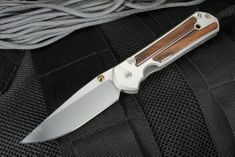 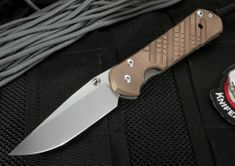 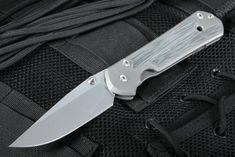 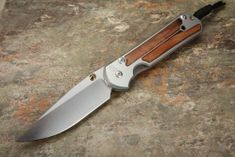 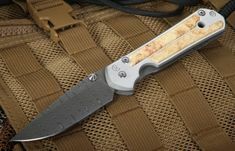 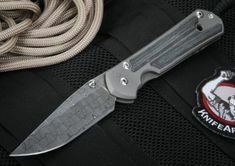 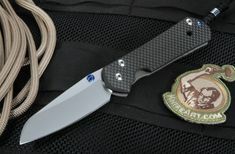 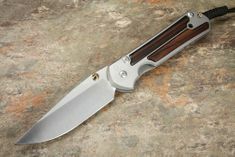 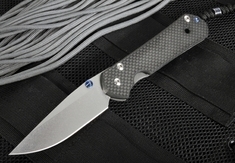 KnifeArt.com is pleased to offer the beautiful and highly functional Chris Reeve Large Sebenza 21 folding knife product line. 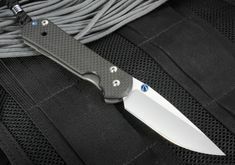 The Large Sebenza 21 is the perfect folding knife for any of your field, utility, or tactical needs. 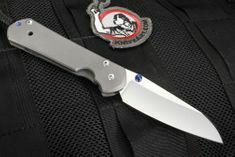 With its 3.625-inch Crucible CPM S35VN hollow grind blade, the Large Sebenza 21 boasts a 59-60 Rockwell Hardness. 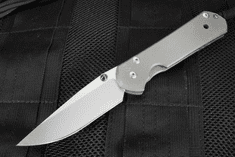 The Large Sebenza 21 will work hard, retain a sharp edge, and offer easy maintenance. 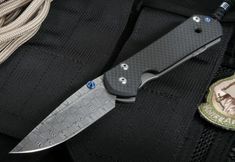 The knife comes in a drop point, insingo and tanto blade shape. The overall length of the knife is 8.335" long. The Sebenza framelock is tougher and more rigid than traditional liner locks, it provides the user with a bank vault feel. 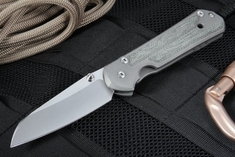 Tucked into a 6Al4V Titanium handle, the Large Sebenza 21 is one of the most rugged folding knives available. 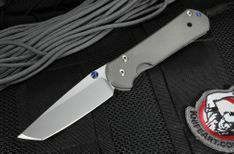 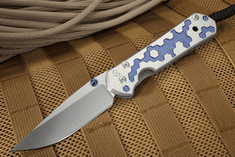 The standard model weights in at 4.7 ounces, the Large Sebenza 21 is heavy enough to create a sturdy feel, but light enough to allow for EDC without getting in the way during field or tactical duties. 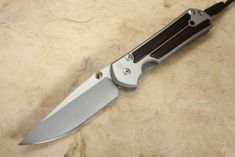 The first Sebenza was designed by Chris Reeve in 1987. 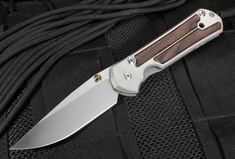 Over the years, the Sebenza underwent several minor changes, with the Original profile released in 1990, the Regular profile released in 1996, and the Classic released in 2000. 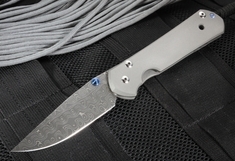 In the Sebenza's twenty-first year, 2008, the Sebenza 21 was born. 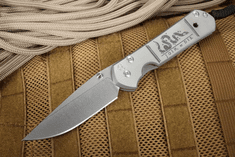 The iconic knife is proudly American-made in Boise, Idaho. 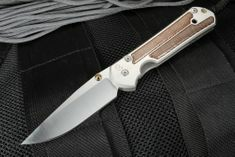 "Sebenza means 'work' in Zulu – these knives are intended to do just that," Reeve explains about the Sebenza 21's name. 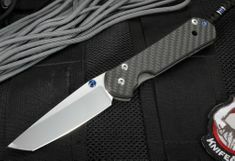 Chris Reeve was born and raised in an area of South Africa where Zulu was the prominent language. 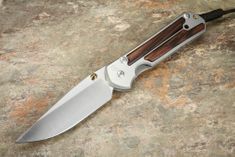 The Large 21 also offers several blade and design variations. 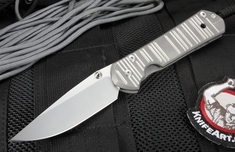 Available with a Damascus blade, a tanto or drop point blade, or the Insingo (the Zulu word for "razor") blade, the Sebenza 21 is custom tailored to suit your specific needs. 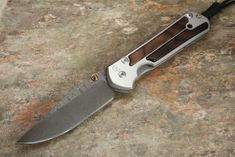 The standard blade finish on the knife is a stonewashed blade with the more upscale wood inlay models coming with satin finished grinds. 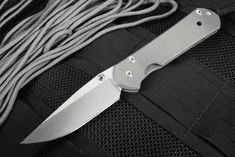 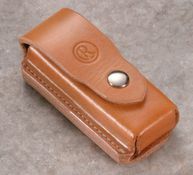 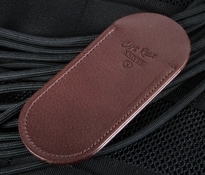 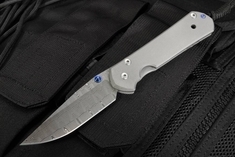 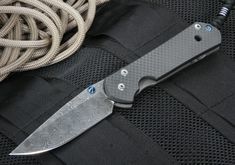 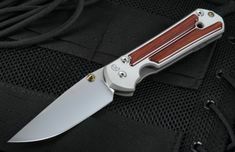 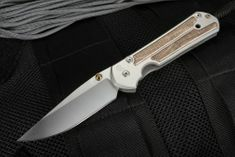 The american-made folding knife can also be built in left-handed versions to accommodate Southpaw users. 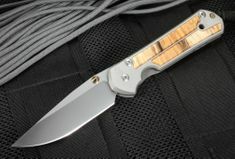 The sebenza is available in a wide variety of handle configurations, from our exclusive carbon fiber to computer generated graphic (CGG) machined patterns or wood inlays in a wide variety of hand selected exotic hardwoods. 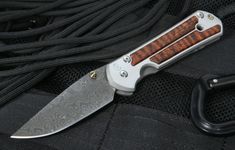 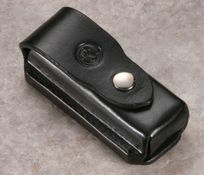 When you order from KnifeArt.com, you can expect solid service and swift delivery of your product, which ships free.